for $875,000. This 217,800 square foot property was built on a lot size of 8.61 Acre(s). For more information and/or your private showing contact the list agent, Matt Hausmann, at . Here is your chance to live the equestrian dream on gated 8.6 acres of completely cleared horse property with a new hurricane rated 42x60 enclosed pole barn/10 car garage/RV Garage w/ 8 inch reinforced concrete slab and office/studio space plumbed for a bathroom, 8 stall barn, paddocks, tack building, workshop, cross-fenced pasture, arena and round pen with a deep water canal on the north endof property. 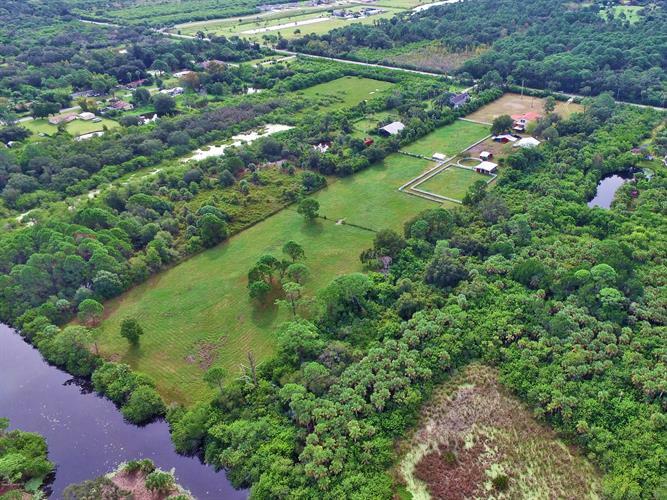 Out in the country, yet still only minutes to NASA/KSC, beaches, shopping, major roads and amenities. Includes unfinished 3 story home. Now it's your turn to take the reigns and continue the ride as you make this equestrian estate your home. Seller to consider all offers as well as possible owner financing to assist you while you finish the home.